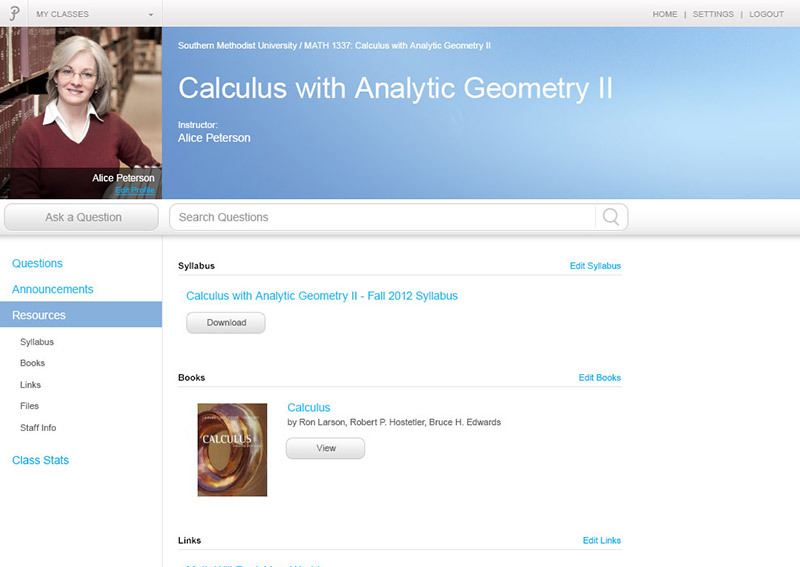 Instructors & TAs: Save Time. 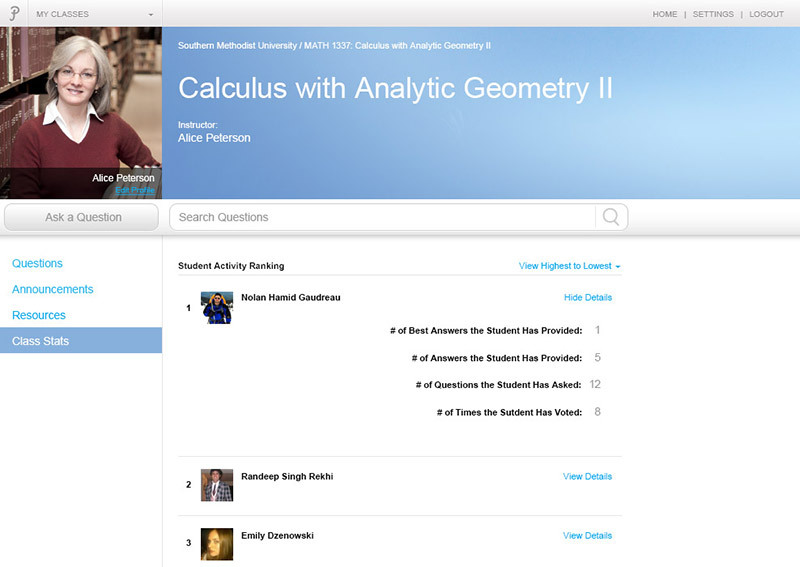 You don't have to answer the same questions over and over every academic term. All information you and your students provide will be stored in a secure database for you to access anytime. 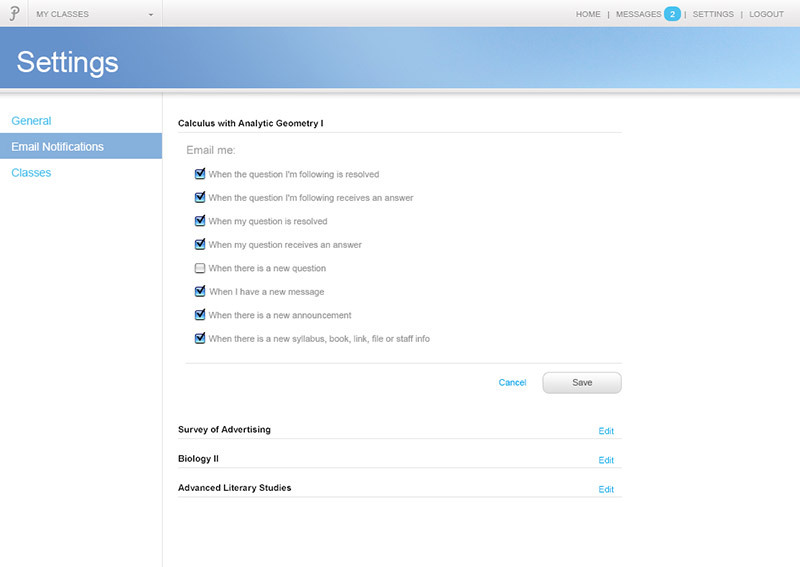 Find answers, ask questions (anonymously if you prefer), follow questions and receive email notifications when your questions are answered or approved by instructors. We’ve studied and simplified many of your favorite websites to make our site feel like second nature to you. 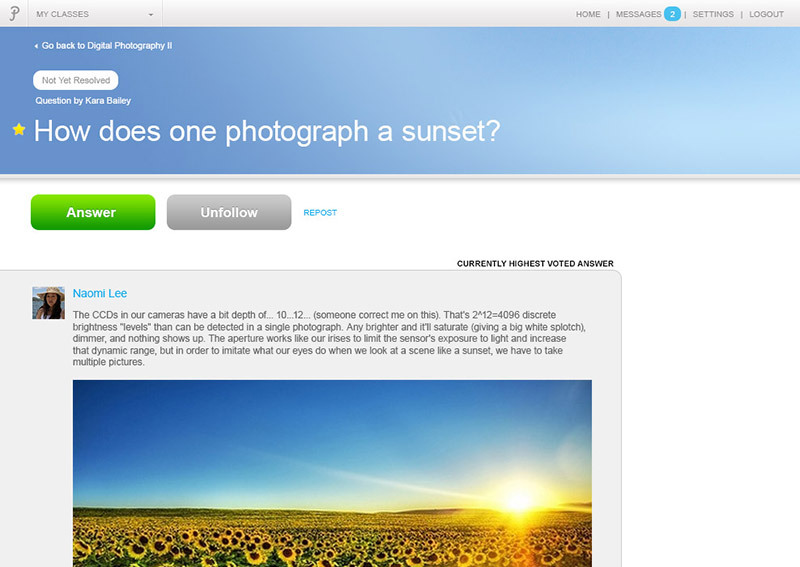 Quickly find answers to your questions with our smart search engine with autocomplete. Sit back and relax. We will email you when the questions you've asked or are following receive answers. If you find an interesting question or discussion, you can follow it and be notified whenever there are updates. 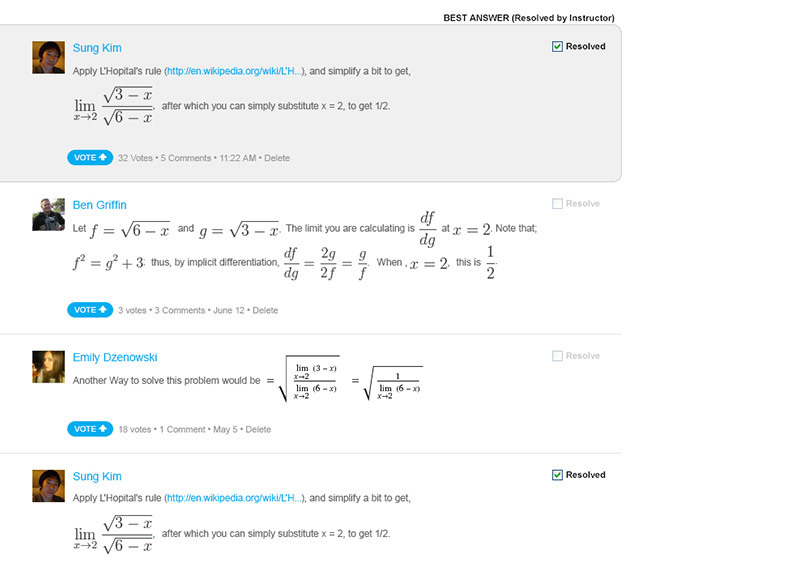 Your classmates can vote on the answers to your question and help you determine the best answer. We'll notify your students via email when you make an announcement as an instructor. 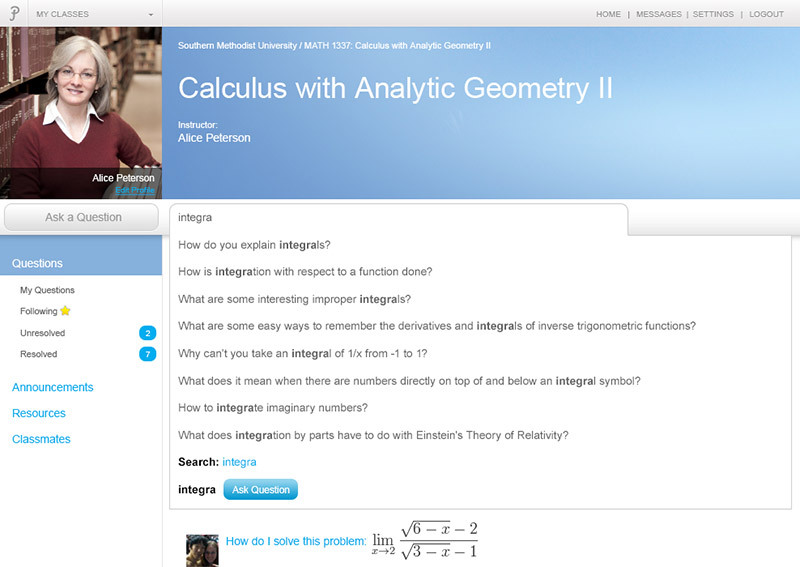 Instructors can upload and share the syllabus, textbook info, links and files with students. 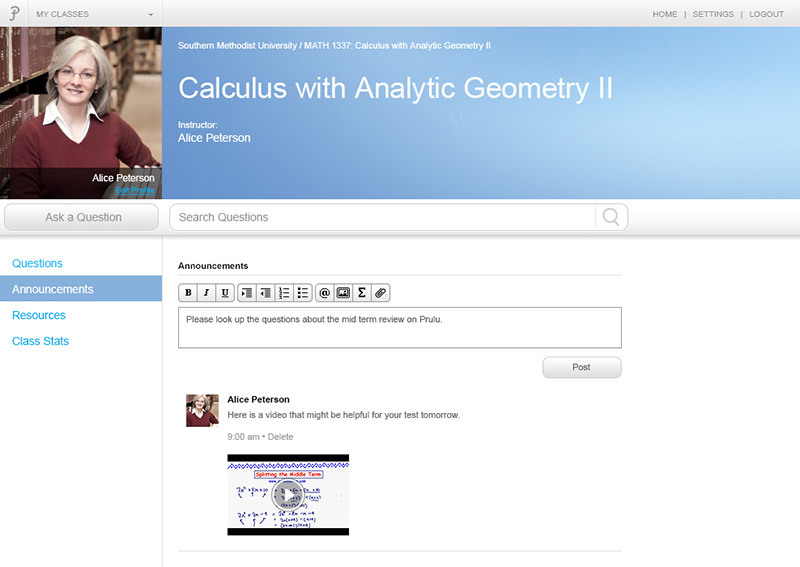 Instructors can monitor students and see who's participating in class discussions or activities. Why use Prulu in your LMS? 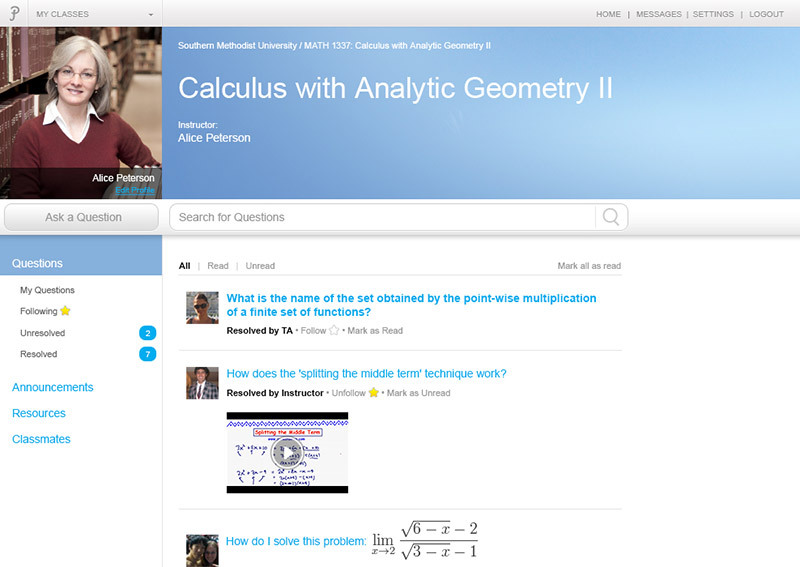 Replace outdated discussion boards in your LMS with Prulu to efficiently manage your class Q&A. Use Prulu as a part of your existing LMS so you don’t have to deal with multiple platforms. Enrolled with appropriate roles according to the class roster. Signed into Prulu so you don’t have to create a separate username or password. How do you use Prulu in your LMS? Click on the Prulu link to launch it. Which LMS platforms work with Prulu? Yes, Prulu is FERPA compliant. Or put us in touch with the LMS admin at your school. Sorry, we can't seem to find your email address in the system.